Saturday Down South’s Connor O’Gara and Chris Marler caught up with their buddy Paul Finebaum for a bonus pod. They talked SEC division title stuff, Tua Tagovailoa’s legacy and a fire take about LSU’s environment. They also discussed their interesting first encounter in Atlanta and the restraining order on Marler. Finebaum joined the guys on behalf of Pilot Flying J, which is the largest operator of travel centers in North America and the official travel center of the SEC. Finebaum’s life-sized Pilot Flying J mascot follows whichever campus SEC Nation is at in a given weekend. Auburn lost to Virginia in the Final Four, which meant that the guys devoted the entire podcast to The Office Episode Bracket. Well, Chris and Connor broke down the devastating Auburn loss to start, but everything after that was all Office-related (2:37). The guys discussed the bracket’s biggest surprise matchup, which episode should’ve made the cut that didn’t and some trends that they noticed (16:00). 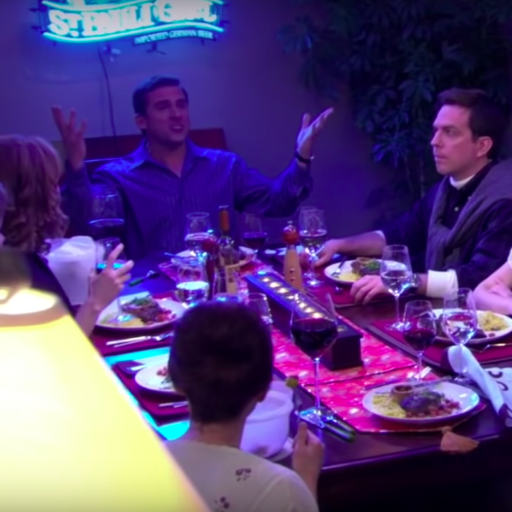 They also dug into their Bottom Four episodes, how Connor beefed up with “Stress Relief,” a favorite quote/scene from each Elite Eight episode and a discussion of their championship round episodes. The guys closed with 4th and Wrong: The Office edition (1:35:15). We've got a huge, huge pod. 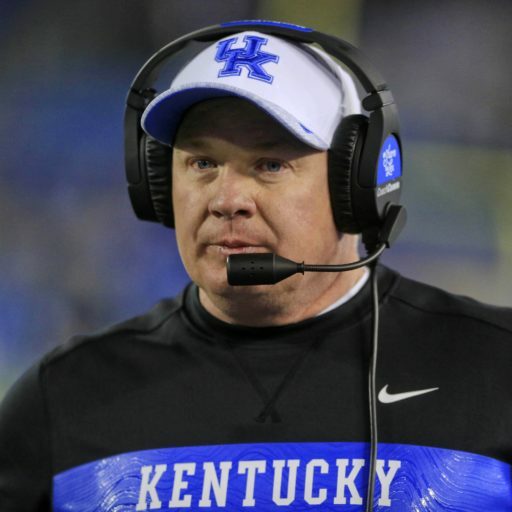 The SEC Coach of the Year, Mark Stoops, joined the show to talk all things Kentucky, tattoo sleeves, Benny Snell, Kash Daniel and more (38:50). The guys also got into discussing the demise of the AAF, (4:58) and they predicted every SEC opening day starting quarterback (12:10). Speaking of predictions, the guys made their final Auburn-Virginia predictions (1:01:40). They broke down some early Week 1 lines in the SEC, as well (1:05:12). After a brief, 1-pod hiatus, 4th and Wrong returned and a certain Alabama fan was the subject of #ItMightMeanTooMuch (1:09:49). History. 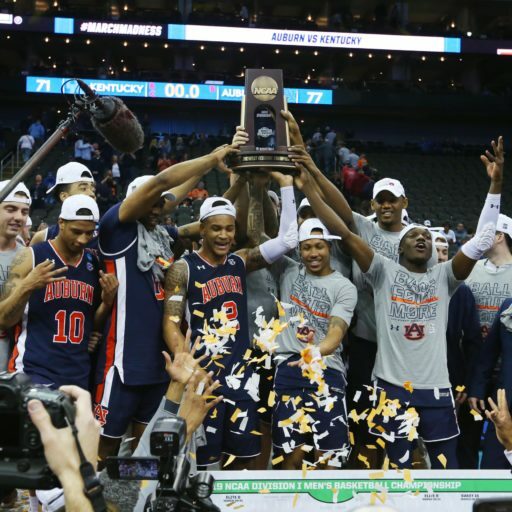 Auburn is moving on to the Final Four for the first time ever and the guys have plenty of takes on the Tigers' incredible run to Minneapolis (0:00). How did Auburn take down Kentucky? What should we make of the Cats missing the Final Four for the fourth year in a row (3:37)? Also, the guys dispelled the belief that Auburn is a Cinderella because of the path it took in beating blue bloods galore (16:53). The guys share their opinions on what the weekend meant for the SEC (24:46) and closed with some Auburn-Virginia over/unders, predictions and an update on The Office Episode Bracket's Final Four (36:33). There's big, big news for SEC fans. There's a new villain in the house, and he goes by the name "Sam Ehlinger." The guys explain why the Texas quarterback is the perfect villain for SEC fans. 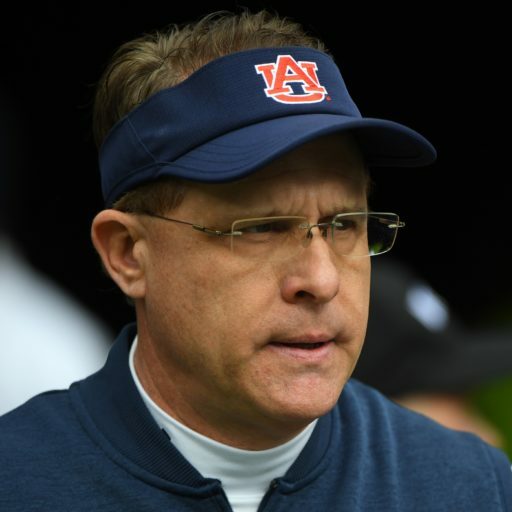 They also discuss an interesting comment from Gus Malzahn and what it could mean for his quarterback situation. With the basketball coaching carousel in full swing, the guys rank the SEC hoops coaching vacancies. 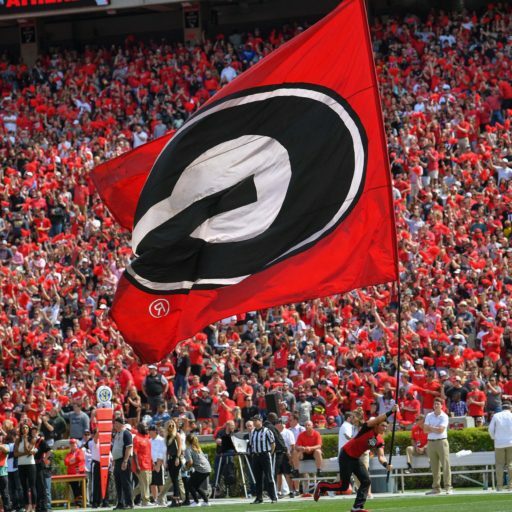 They caught up with former Georgia walk-on Candler Cook and discussed his new book "From Underdog to Bulldog" on his incredible story just to make the team in Athens. The guys closed with some gambling advice from Uncle Chris, 4th and Wrong and #ItMightMeanTooMuch. SEC hoops are. On. Fire. The conference sent 4 teams to the Sweet 16 for the first time since 1996 and the guys break down the madness that was from the opening weekend. 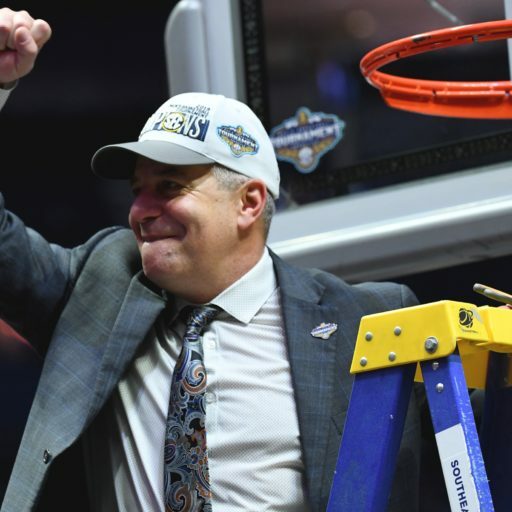 They looked back on what each SEC team (LSU, Kentucky, Auburn, Tennessee) did to reach the Sweet 16, with over/unders and predictions. Ed Talks made a prominent return and the guys provided an update for their Office Episode Bracketology. Coach O got paid, y'all. Sort of. 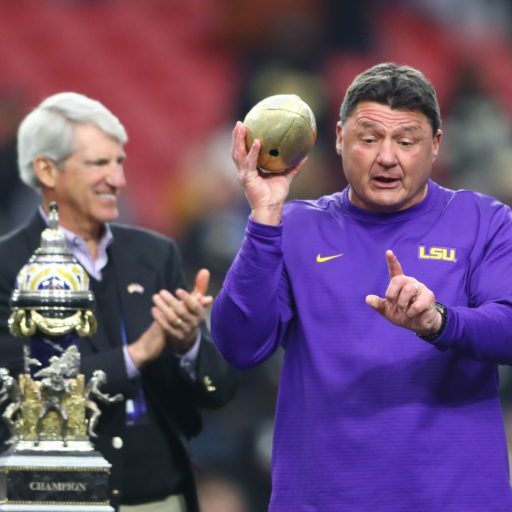 The LSU coach got an extension and a raise, but not quite as big as what the guys were expecting. They talk about that, as well as this #TankForTua storyline and why it's not likely that it'll happen. The guys also break down Johnny Manziel's move to the AAF and they get into a fire debate about the top SEC basketball/football coach combinations. SEC Network announcer Tom Hart joined to talk all things SEC hoops ahead of the NCAA Tournament. The guys close with 4th and Wrong and #ItMightMeanTooMuch. It. Is. March. Saturday Down South's Connor O'Gara and Chris Marler stayed up late on Selection Sunday to talk all the hoops ahead of the NCAA Tournament. 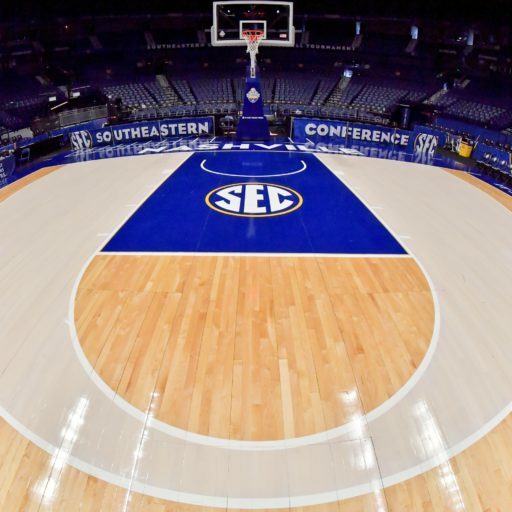 The guys talk about the opening lines, what to make of Auburn's odd seeding, if LSU is in shape to avoid an upset, what expectations for Kentucky should be and we run through our first round predictions for SEC games, as well as list our Final Four and national champs. No need to fear, y’all. The SEC Tournament is here. 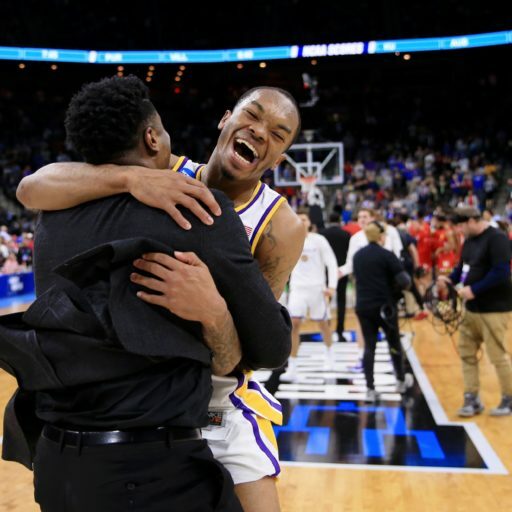 The guys have a ton of hoops topics to discuss with SDS basketball expert Adam Spencer, including what happens with LSU, tournament predictions and over/unders. 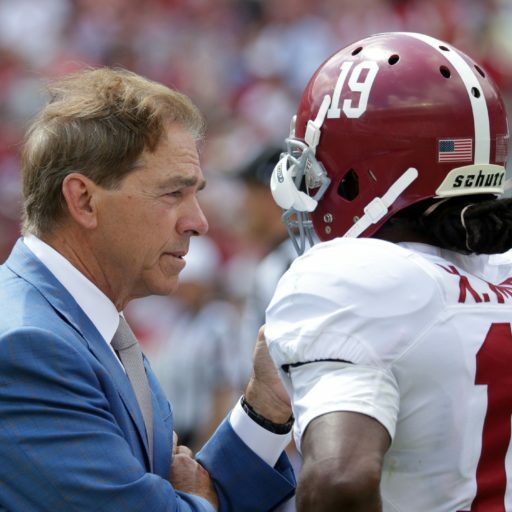 Speaking of over/unders, the lines for SEC regular season win totals from BetOnline are out. The guys hit on some noteworthy early observations from that. The guys tackled 5 questions in 4th and Wrong and it was a crootin’-focused edition of #ItMightMeanTooMuch. Also, the guys closed with a BIG announcement for something that’s in the works.